Shopping clothes used to be my monthly guilty spend, but now that’s been replaced with buying fabric and haberdashery instead. I actually think being fabricoholic (yeah that word doesn’t really work…) is worse – you just have way more options than you have on the highstreet. Today all my money went to Dalston Mill Fabrics and The Shop on Cheshire Street. It was my first time visiting both after reading about them on yes i like that. I was slightly overwhelmed by Dalston Mill Fabrics. It’s the kind of place where you need a LOT of time to look through the floor to ceiling high stacks, and a reasonable budget. 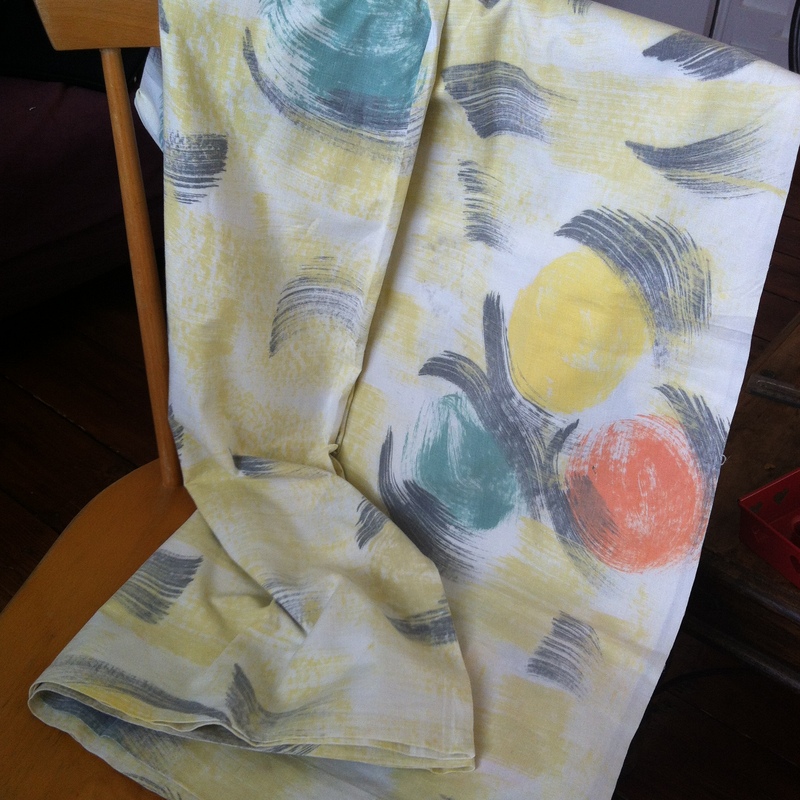 I wanted to buy some wool fabric for my Madeleine skirt, but thanks to £17/m I quickly changed my mind and bought some really lovely cotton twill instead (£7.70/m). My favourite purchases of the day, however, is without a doubt from The Shop. I found some beautiful patterned silk (1.45 x 0.92 m) for just £6.50 which I think I will use to make the front piece of a top. 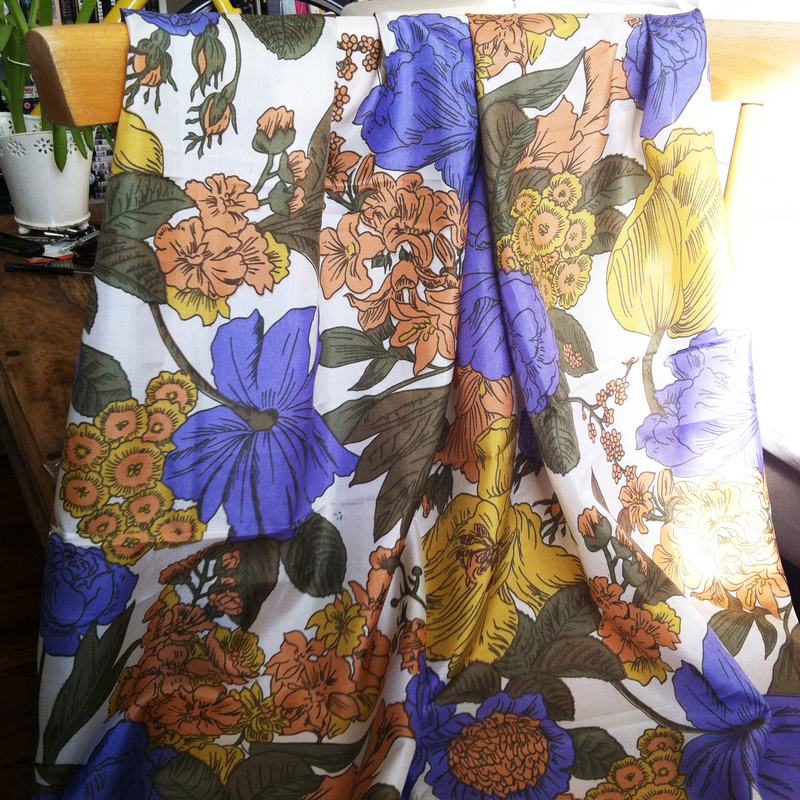 I also bought this, which I think is an old curtain. The cotton is quite stiff, but I think it could look amazing as either a summer dress or as a really oversized t-shirt. £10 for a 2 x 1.3 m piece ain’t bad!